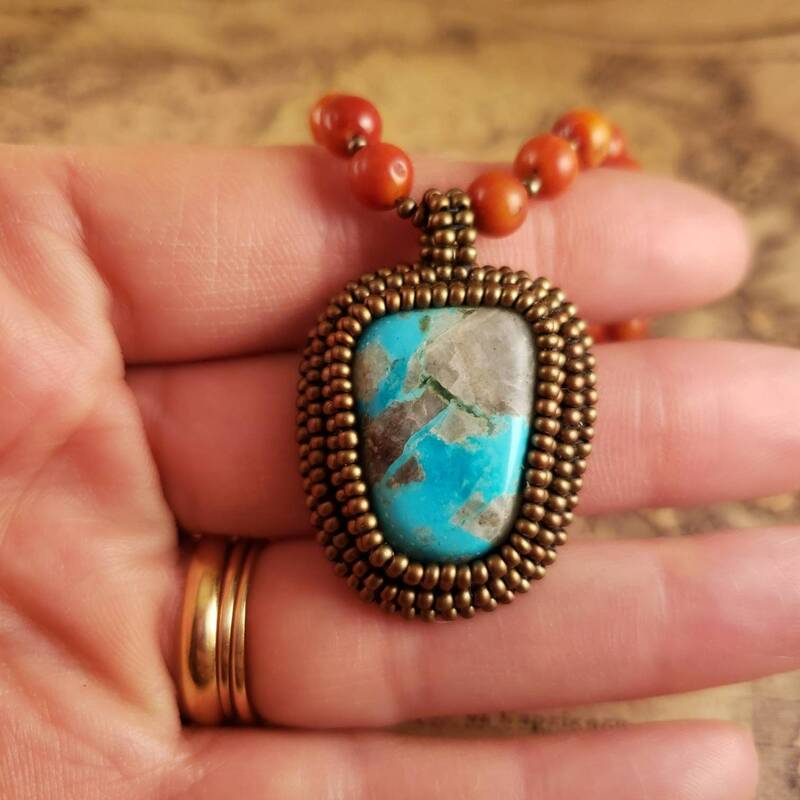 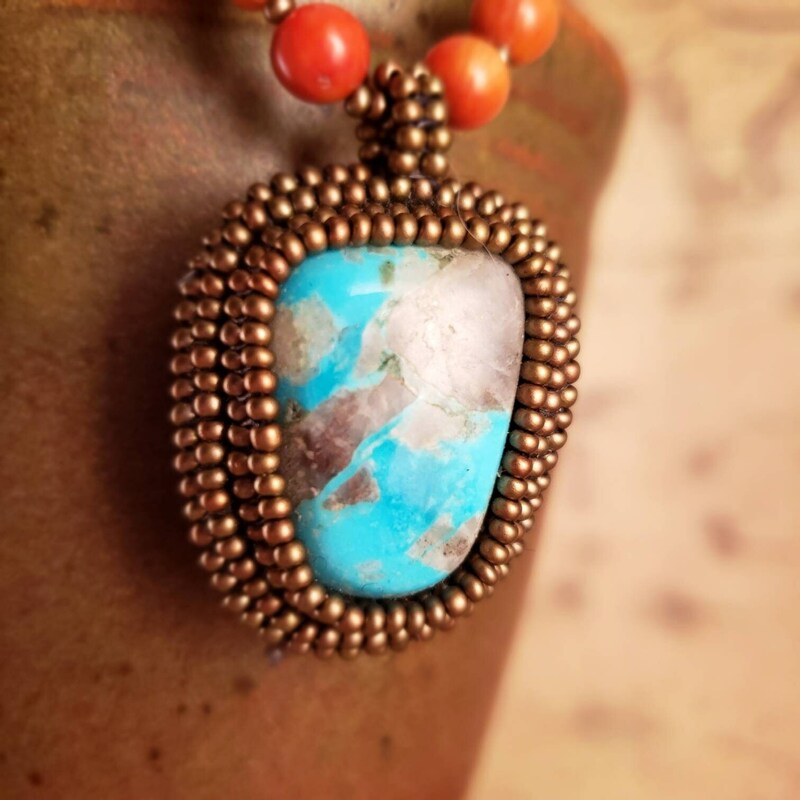 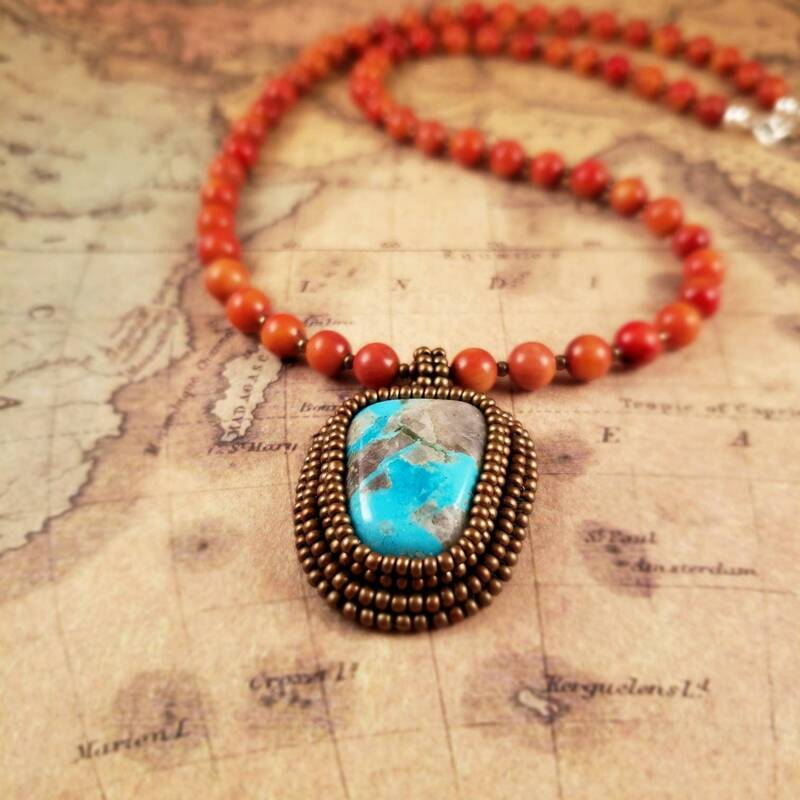 Real Nacizari turquoise stone pendant boasts an interesting matrix that makes it unique. 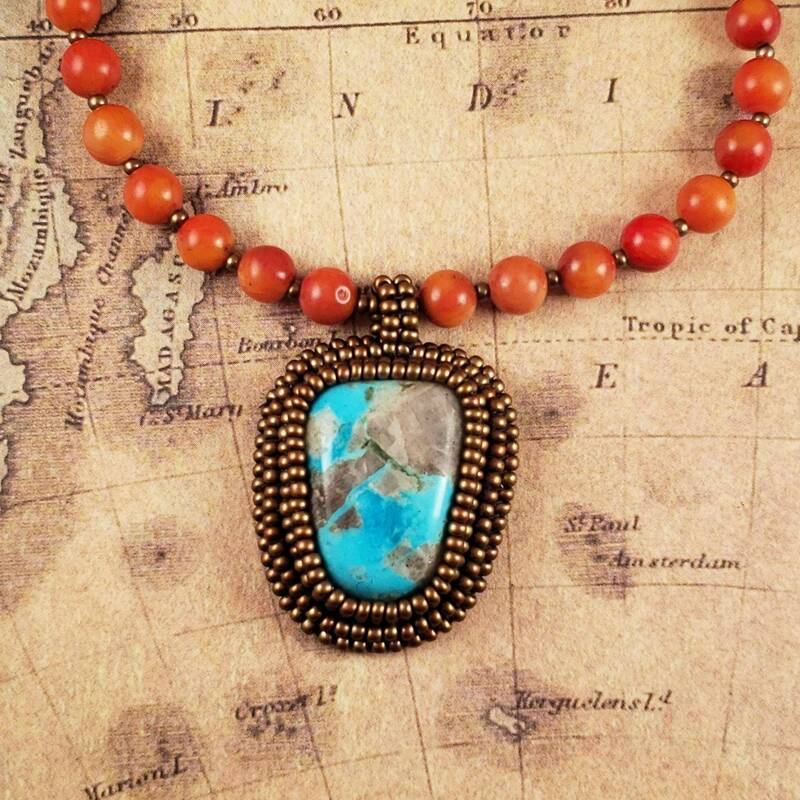 This piece has beautiful bright blues with deep quartz contrasts. 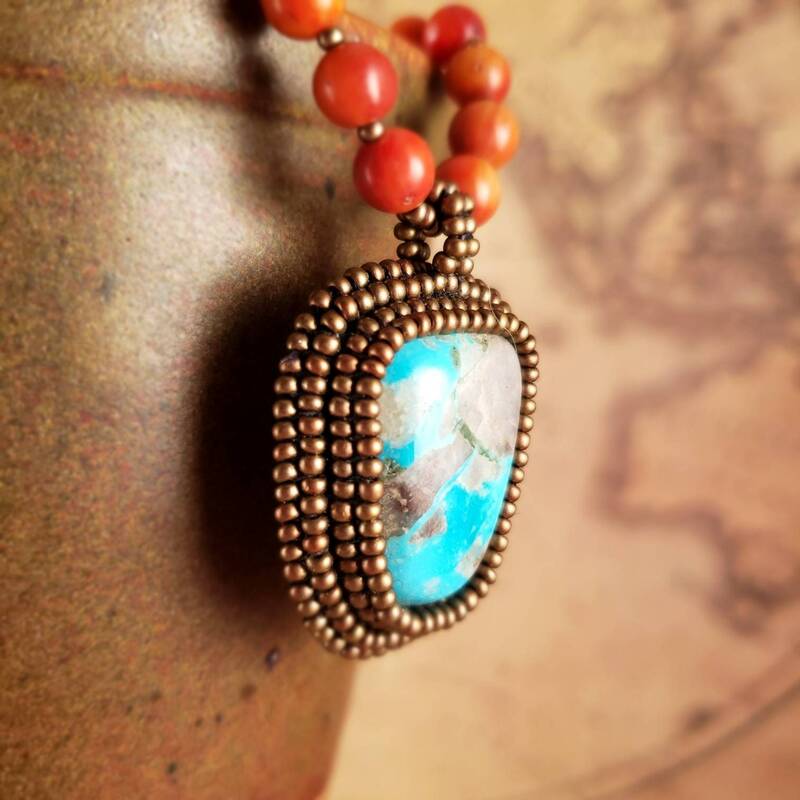 Hand bead embroidered with brass glass seed beads. 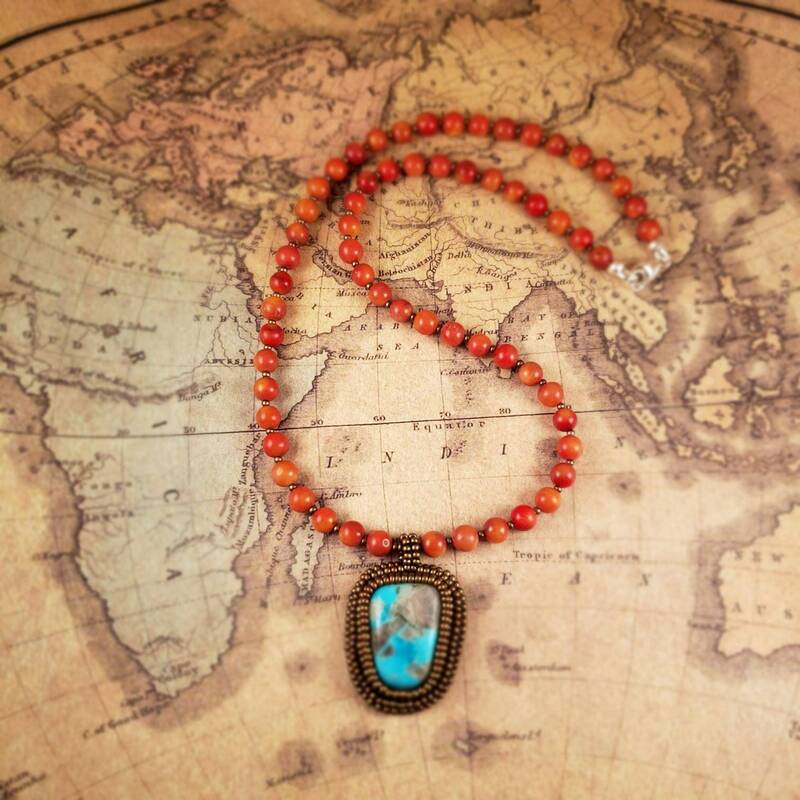 Necklace is red apple coral. 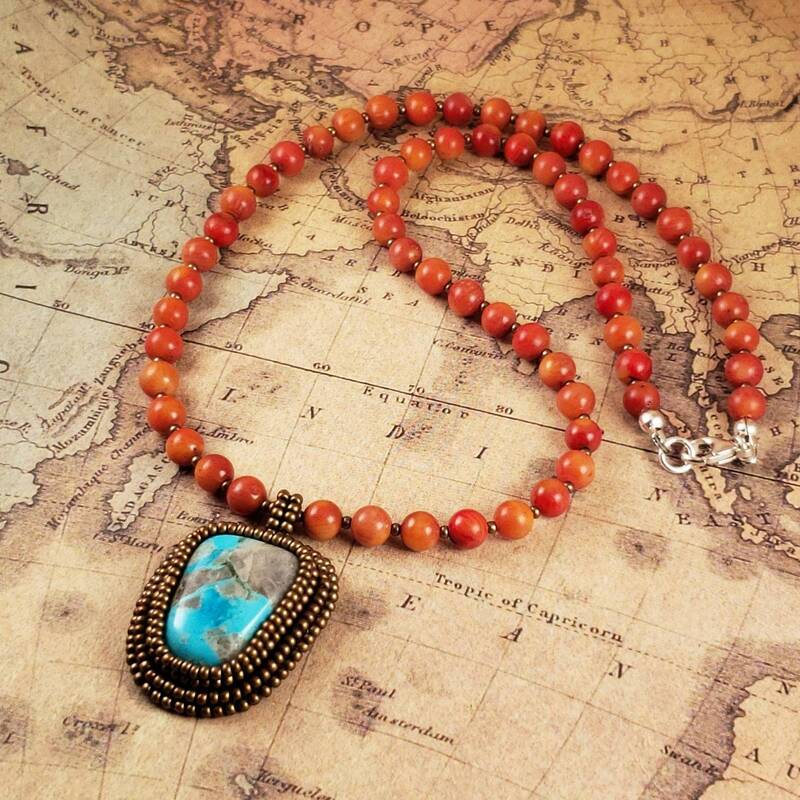 Each coral bead has various orange, red and peach hues for a soft red. 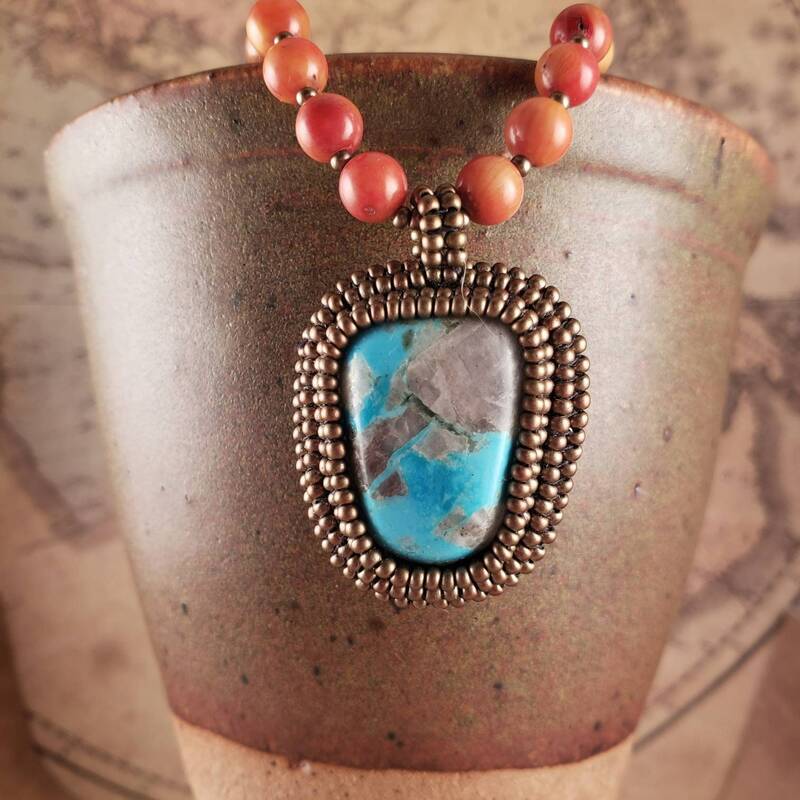 Hangs just longer than 18"
The Nacozari mine is in Sonora, Mexico just across the border from Bisbee, AZ.